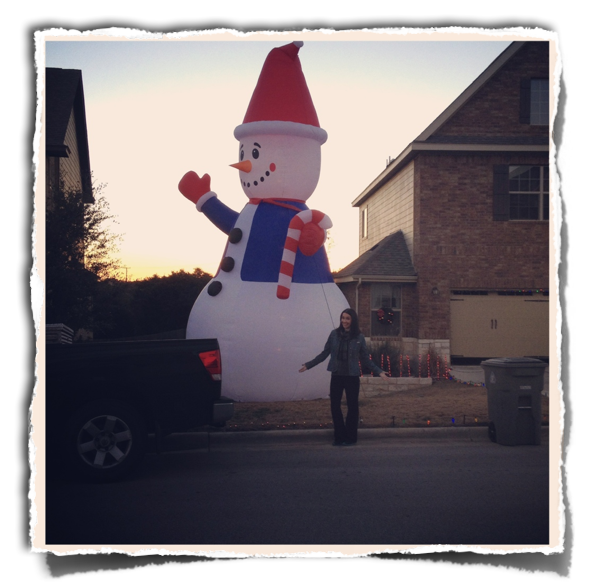 Perhaps it’s the knowledge that the probability of snow here in Austin, Texas is close to zilch that inspires my neighbors to buy such a massive inflatable yard snowman. When I bike past this house, I giggle every time at the sheer silliness of this fellow. I’m standing next to it to help you think of questions to ask and investigate. In the spirit of www.101qs.com what’s the first question that comes to your mind? How will you attempt to answer it?